[Viola Garvin, journalist.] 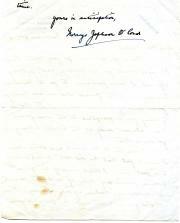 Typed Letter, written on her behalf by 'G. F.', to 'Sylvia Dear' (i.e. the Anglo-Irish poet Sylvia Lynd), thanking her for 'one of the nicest novel articles we have had', and asking her to review Somerset Maugham. On letterhead of the Observer, 22 Tudor Street, London. 14 August 1934. 1p., 4to. In good condition, on lightly-aged paper. She thanks Lynd for 'one of the nicest novel articles we have had in Gerald's absence', and asks her to 'be an angel, and do something else for Viola, who is vanishing tomorrow for four or five weeks', in reviewing 'the Somerset Maugham book you wanted [...] I really think he is worth a long article to himself - 1500 words, and, if you care to, you can put in a word for Heinemann's edition of the Collected Works, which we send alongside. Mr. Both published by The Moral Education League. The first from Surrey House, Victoria Embankment, W.C., London, in 1901; the second from 6, York Buildings, Adelphi, London, W.C. in 1914. ONE: 'Children's Ethical Classes', 1901. 16pp., 12mo. Stitched. In good condition, on lightly-aged paper. With stamp, label and shelfmark of the Board of Education Library, London. Two copies on COPAC. TWO: 'Syllabus of Moral and Civic Instruction For the Elementary School.' 31pp., 12mo. In red printed wraps. 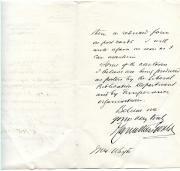 In good condition, on lightly-aged paper. With stamp, label and shelfmark of the Board of Education Reference Library, London. Three copies on OCLC WorldCat and none on COPAC. Autograph Letter Signed ('F Carruthers Gould') from the cartoonist Francis Carruthers Gould to Eliot P. J. Reed. 12 May 1902; on letterhead of the Westminster Gazette, Tudor Street, Whitefriars, EC. 12mo, 2 pp. Eighteen lines. Text clear and complete. Good, on lightly-aged paper. 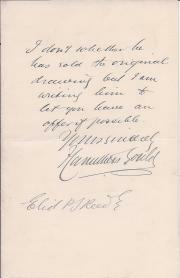 Addressed to 'My dear Reed'. He thanks him for his note and is glad he likes the cartoon on 'the Educational Model'. He had 'been hoping the Tories would tread on the Nonconformists' toes to shut them up and now they have done it.' 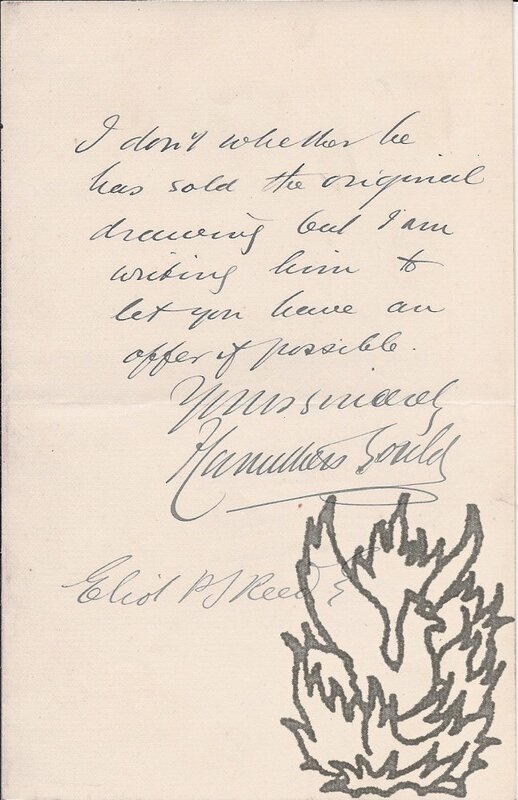 He doubts whether his agent has sold the original drawing, and is writing to him 'to let you have an offer if possible'. Manuscript copies, perhaps in Berkeley's hand, of two letters from Gould to Berkeley, with two of Berkeley's replies. 27 to 30 November 1842. Berkeley was an author and sportsman [(1800-1881). Six pages, quarto. Good though grubby, and on discoloured paper. Removed from a letter book, and with the letters (all in the same hand) numbered 4 to 7. Concerns a dispute within the Lymington Hunt. 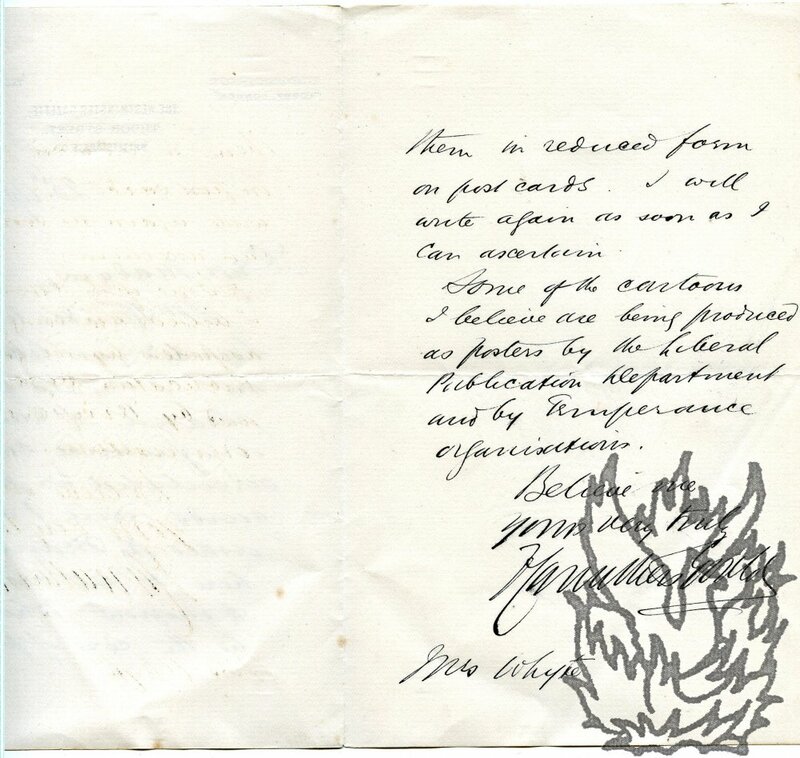 LETTER 4: Gould to Berkeley, 27 November 1842, Muddiford near Christchurch. 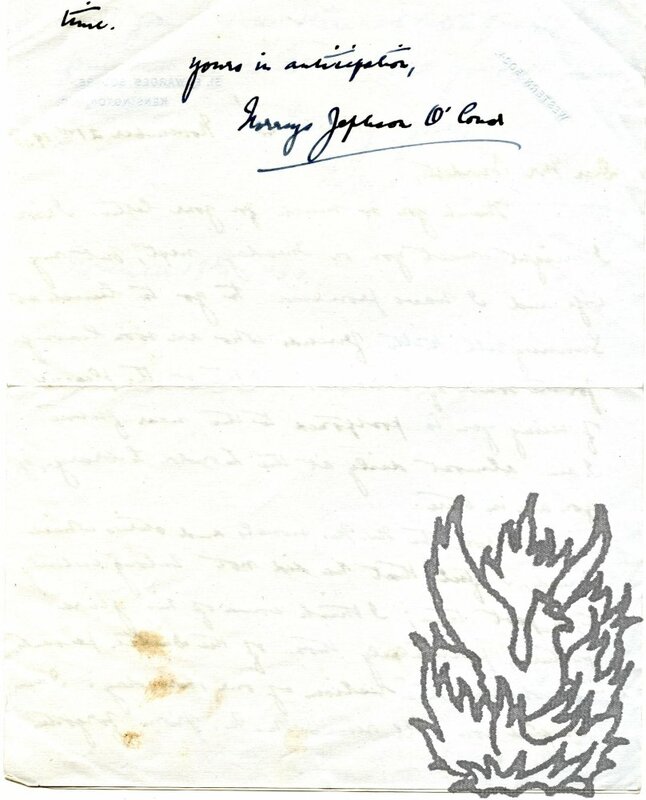 'On my return Home late yesterday Evening I found that Mr. O'Kelly had been waiting for some hours to consult with me, relative to your letter to him of the 25th inst.